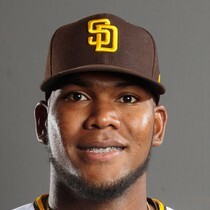 Mon, Apr 15th The Padres have placed Franchy Cordero (elbow) on the 10-day injured list. Cleveland Indians outfielder Leonys Martin went 3-for-4 with a double, a home run, two runs, two RBI, and a steal during his team's 4-0 win over the Tigers on Thursday. Thu, Apr 11th Franchy Cordero left Saturday's game versus the Cardinals with a sore elbow. Cleveland Indians outfielder Leonys Martin went 1-for-3 with a leadoff homer and two walks in his team's 8-2 win over the Tigers on Tuesday. Tue, Apr 9th Franchy Cordero went 2-for-3 with a double, a single, a walk, an RBI, and a run scored as the Padres beat the Cardinals 5-3 on Friday. 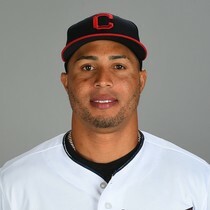 Cleveland Indians outfielder Leonys Martin went 2-for-3 with a walk in his team's 4-1 win over the Blue Jays on Thursday. Leonys Martin went 1-for-4 with a walk and a run scored on Monday against the White Sox.